Two things that hold a special place in fashion girls' hearts: jeans and pretty things. 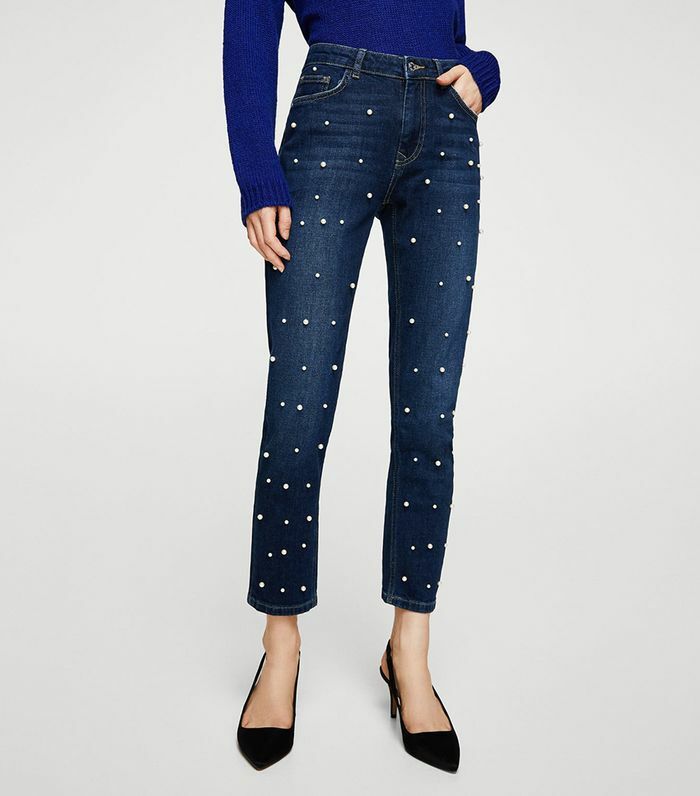 Combine the two and you have the makings of one of the biggest denim trends of the season: pearl-embellished jeans. In recent seasons, it's become clear that women are seeking a little excitement when it comes to jeans. 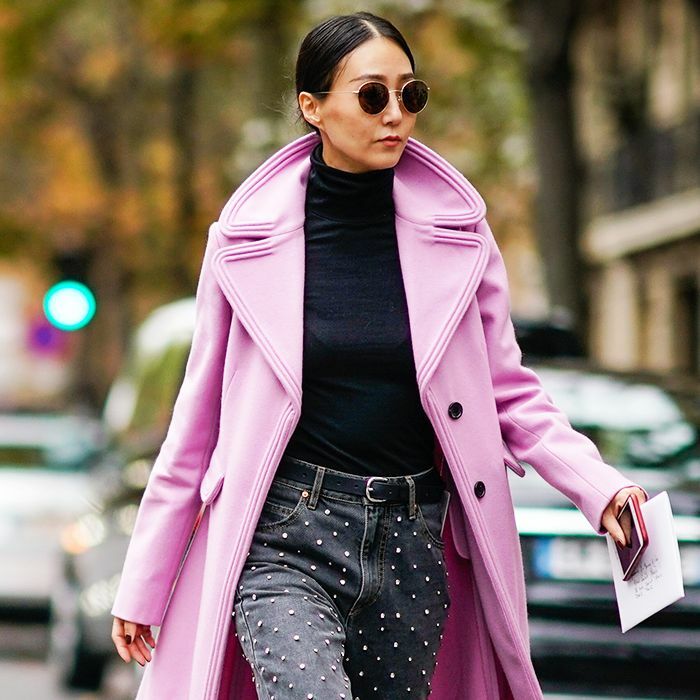 Recent variations of the non-boring denim theme that we've seen are embroidery, patches, and bedazzled jeans, and fall 2017 has brought with it the most feminine version of non-boring jeans yet. Pearl jeans are currently everywhere, from fast-fashion brands like Mango to designer brands like Isabel Marant. No matter your budget, there's a pretty pair of pearl jeans out there with your name on them. Not sure how to style the trend? We suggest keeping things simple and wearing them with T-shirts and sweaters and your favorite ankle boots, sneakers, or loafers. Shop the prettiest denim trend of the season below. Subtle rips make this under-$100 pair even cooler. We can picture a cool French girl wearing these. Zara has multiple pairs of pearl jeans at the moment, in case you were wondering. As you can see, we quickly caught onto the trend. Available in sizes 2 to 26. The chicest boyfriend jeans ever. Your cozy sweaters need these. Seeking something subtle? Try these. We love every single thing about these. This flattering option is polished enough to wear to work. These can easily be dressed up or down. Not your average skinny jeans. These new arrivals are quickly selling out. Comfortable (and cool) enough to wear on travel days. Pearls really pop against dark-wash denim. Available in sizes 25 to 28. Ease into the trend with this ultra-subtle black pair. These are embellished with three different colors of pearls. Next up, find out which mistake never to make when you wash jeans.